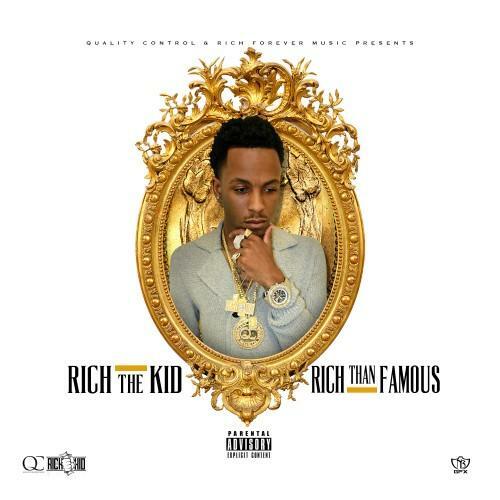 Rich The Kid drops his solo effort "Rich Than Famous." Quality Control rapper Rich The Kid gifts fans a mixtape on Christmas day, namely the 13-track project Rich Than Famous. The release features a varied guest list that includes YG, Migos, Bobby Shmurda, Rowdy Rebel, Gucci Mane, Peewee Longway and Johnny Cinco. Production is also handled by a eclectic cast, with Harry Fraud, KE On The Track, Deko, OG Parker, Jahlil Beats, Nas Beats, Metro Boomin, Murda, Zaytoven and Spiffy all contributing tracks. This tape contains the previously-released songs "Goin Krazy," "On My Way," "Trap (Remix)" and "Trap Still Jumpin." Let us know what you think of the project in the comments.